Andy is a Partner in Preti Flaherty's Government Affairs Group. He represents a wide range of clients at every level of Maine government including the Maine Legislature, the Executive branch, and state agencies. His practice focuses on general business regulation and improving the regulatory climate for businesses. He represents a multinational brewery, a multinational education publisher and test assessment provider, a large statewide trade association, national medical companies and trade associations, and many others. He has been recognized twice by his peers for inclusion as a Rising Star in Lobbying by Super Lawyers and is listed in The Best Lawyers in America. A former advisor to Governor John Baldacci and active in Maine politics for more than a decade, Andy has strong relationships with key decision makers at the State House and all levels of Maine government. 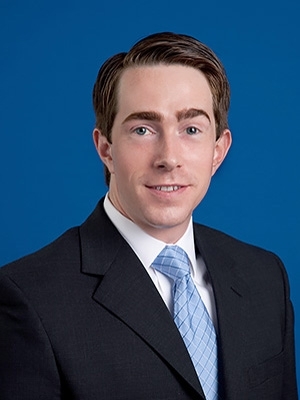 Prior to joining the firm, Andy worked for Preti Flaherty as a Summer Associate. Before attending the University of Maine School of Law, Andy worked for Governor John Baldacci as the Director of Boards and Commissions within the Office of the Governor. In this role, he was the primary advisor to Governor John Baldacci on thousands of appointments to hundreds of state boards and commissions. Andy also worked closely with members of the Maine House and Senate on hundreds of gubernatorial appointments requiring legislative confirmation. A native of Washington State, Andy currently resides in Freeport, Maine with his wife Emily and their son.